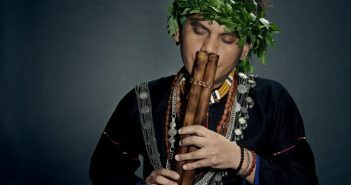 Recently nominated by the Independent Music Awards, indigenous singer-songwriter Sangpuy has a voice that contains intensive emotions and exceeds the language barrier.. From the tribe to Rainforest World Music Festival and SXSW, through his voices, Sangpuy is inheriting the cultural legacies and memories which his ancestors had left. 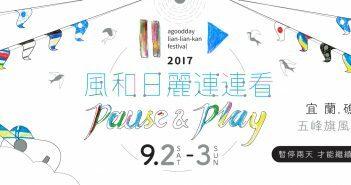 To celebrate their 15th anniversary, A Good Day Records will hold a two-day event Lian-lian-kan Festival in Yilan in September. It is aim to press pause and play, not only on the music, but also on your busy lives. 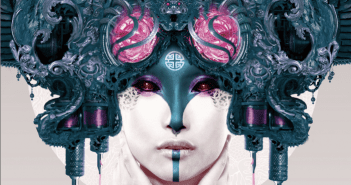 Taipei International Tattoo & Music Festival is kicking off on July 7 at Songshan Cultural and Creative Park. 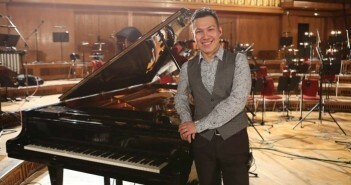 This is the first tattoo and music integrated festival in Asia that presents three musical themes in three days and awards to tattoo artists. The full winner list of 2017 Golden Melody Awards. This is a song that will make you go after your dream again even if you’ve given up before; this is a song that will give you the dream and the courage to pursue it. This is “Wild Child”, a song that will make you proud of yourself. Popu Lady’s record label announced that the group will undergo a poll-based elimination contest after the release of their fourth EP “Gossip Girls” on November 22th. Take Popu Lady as an example, let’s discuss about elimination contest in the Showbiz Jungle. The CMJ Music Marathon 2015 ran from October 13th to 17th, giving. 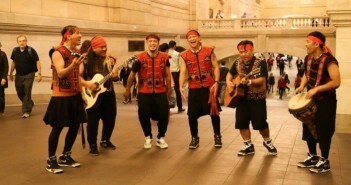 Apart from performing at the festival, Taiwanese music groups and artists also enjoyed the rare opportunity to partake in a NY subway flash mob event. We interviewed the movie, Zinnia Flower‘s music arrange A-Gong; to him, no matter in a band or in his own arrangement works, although the creative methods are different, but both sides allow him to express himself fully. What is the most watched music video on YouTube? That would be PSY’s extremely popular “Gangnam Style”, which sits at the top with 2.4 billion views. In second place with 1.2 billion views is Justin Bieber’s “Baby”. And what are the five most viewed Chinese music videos on YouTube since late 2014? Let’s find out.